ASMRtists was an audio installation at Subtle Technologies 2015 in Toronto. Autonomous sensory meridian response (ASMR) is a euphoric experience characterized by a static-like or tingling sensation on the skin that typically begins on the scalp and moves down the back of the neck and upper spine, precipitating relaxation. 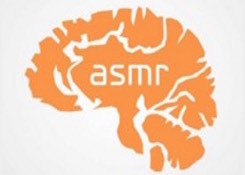 There is a burgeoning web presence of performers using ASMR on an ever-widening audience. They whisper or speak softly while performing a variety of seemingly meaningless tasks that employ high frequencies.The installation ASMRtists played a cross-section of ASMR youtubes and podcasts on two separate holosonic speakers. These ultrasonic, directional speakers specialize in the high frequencies that are characteristic of ASMR, and also give a peculiar sense of proximity to the sounds.